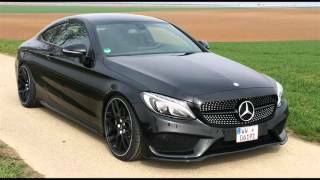 With a rise of 30 percent in power INDEN has once again proved its expertise and this time it’s with INDEN Design Mercedes Benz C Class 2014. With its work beneath the hood, getting accompanied by stylish wheels and a bigger and lower stance, the redesigned model is undoubtedly an example of perfection. 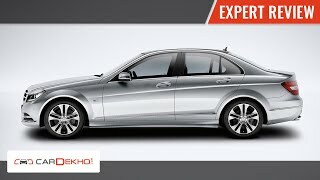 Let us check review of INDEN Design Mercedes Benz C Class 2014 to know more. Though INDEN isn’t much into redesigning exterior but here with INDEN Design Mercedes Benz C Class 2014 he worked a bit to improvise the performance. The work isn’t extreme as it is about lowering the body by 1.7 in. The task was accomplished through upgraded sports suspension and rolls on the gorgeous set of Barracuda Racing Wheels newly introduced while creating INDEN Design Mercedes Benz C Class. This new set of 20” wheels feature twin-spoke design and are wrapped with Dunlop Sport Maxx tires. This all gets accompanied by new Dull Sandstone metallic tone dipping the exterior with few additional inserts to make it look gorgeous than before. Hearing it from the company they say, “engine is still in development’ but this under progress 1.6 liter four-cylinder engine already took a hike of 44 hp in comparison to base model and generates total output of 200 hp. 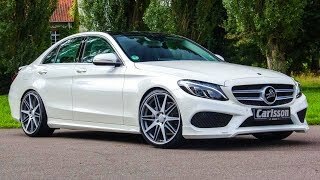 With the tuning mentioned above the credit for this increase (sorry still working) goes to revised exhaust pipes that sit down below at the rear of INDEN Design Mercedes Benz C Class 2014 adding to its sportier and aggressive looks. This all new redesigned INDEN Design Mercedes Benz C Class will come to your doorstep, taking $65,116 out of your pocket.